Anyone who has noticed a Canada goose out at Crystal Lake that appears injured, yes, local wildlife rehabilitator Phyllis Carlson already has been contacted. And really, the best outcome for the bird for now is to leave it be, Carlson said. First, while it looks to have a broken wing, geese still can move well, even propelling themselves along with a wing not capable of flight. Flapping might not get it off the ground but it can carry it across the ice. Second, that ice isn’t thick enough for Carlson to do the same, especially with little real chance of managing to snag the goose. But she hopes they never call, because such an injury would mean euthanizing the bird — there are no sanctuaries for taking geese that can’t return to the wild and repairing damage this far healed simply isn’t feasible, Carlson explained. She’s advised those concerned about the goose to provide food if they wish but otherwise let nature take its course. If a predator comes along, such as an eagle, the goose either will fend it off or that will be the end of the story. It might seem harsh, but it at least offers the goose additional time as a free bird, not confined or harassed and stressed by well-meaning attempts to step in. Carlson again is acting as coordinator for the 2018 Dickinson County Christmas Bird Count, set for Saturday, Dec. 15. Carlson has asked that anyone who plans or wants to participate contact her by email at pcarlson729@gmail.com or 906-774-5868. 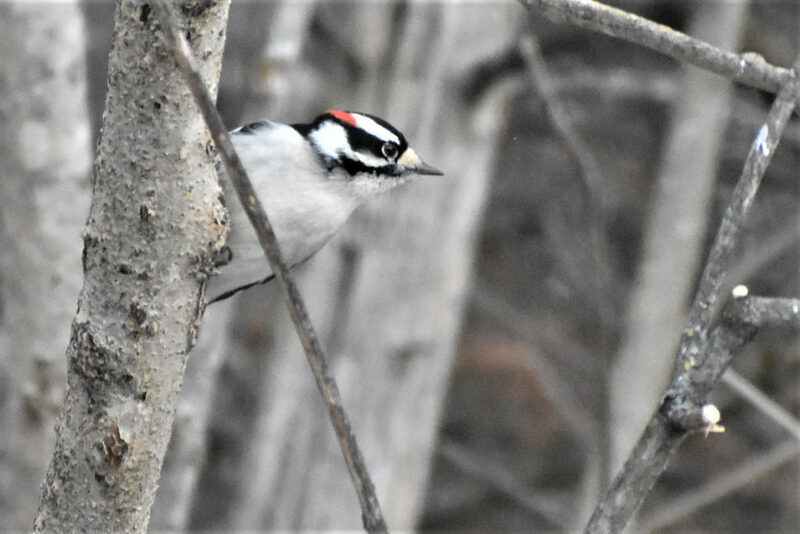 This year’s Christmas Bird Count will be the 119th for the National Audubon Society, which enlists “citizen scientists” to do a 24-hour bird census within designated circles in the U.S., Canada, and many countries in the Western Hemisphere. The data then is analyzed to gauge how avian populations might be expanding their numbers and range, or losing ground. Unlike the Great Backyard Bird Count, which Audubon also does along with Cornell Lab of Ornithology in February, this one doesn’t take individual reports — the work must be done by teams in the 15-mile circle only, to keep records consistent for comparison. The more eyes out there that day, the more complete the survey will be. It can be a fine way to get out and see some of the birds in the area, under the guidance and assistance of experienced birders.